This diet consists of a lot of food products for every meal, which can be consumed to induce the process of Ketosis, as well as the production of Ketones by the liver. 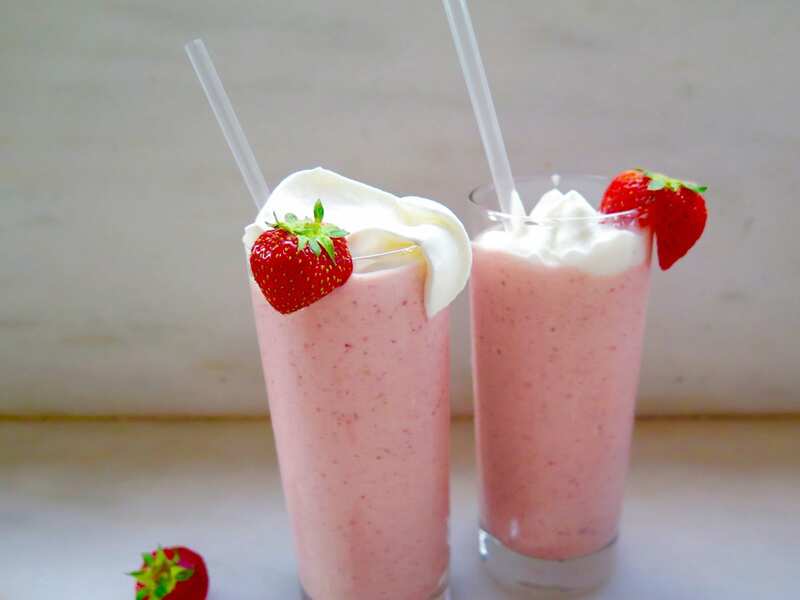 To begin with, we will be discussing the shakes and smoothies which are Keto friendly and will help you reduce the extra weight on your body, aiding to help you reach your target. The main components in the low-carb Keto smoothie and shake recipes are either high in protein or dietary fat but with only 5 grams or less of carbohydrates, which is the most effective way to follow a Keto diet. Keto, or a Ketogenic diet, also known as low-carb and low-carb high-fat (LCHF) diet, is a very famous diet in the world of weight reduction (1). In this type of diet, consumption of carbohydrates is reduced, and the consumption of dietary fat is increased. This forces the liver to produce ketones, which can be used by the body as energy to perform different functions. The process of Ketone production by the liver is known as Ketosis (2, 3). Our body is designed to use the glucose and insulin, produced by carbohydrates, as the energy for different functions before using the fat reserves. How Does Ketosis Help with Weight Loss? However, carbohydrates are usually enough for the energy, so most of the fat stored under your skin makes you retain weight. Therefore, when you reduce your carbohydrates consumption, you force the body to use the Ketones produced by the liver and the fat reserves as the source of energy. When this happens, the fat reserve decreases and you start losing weight (4, 5) consequently. Ketones have also shown a positive effect on physical and mental health, Alzheimers, diabetes, cancer, etc. apart from its weight-loss benefits (6). How Many Calories Should You Eat on a Keto Diet? In this diet, you don’t have to measure your food like other diet plans; you just have to eat the food items which are recommended in this diet plan. The amount doesn’t matter as long as you are not eating too much or too little. And by too much, it means more than your daily recommended calories which are around 1500-1800 for men and 1200-1500 for women. You have already read how the process of ketosis produces Ketones and decreases the production of insulin. This will help your body to reduce its dependency on insulin, which will help control diabetes. Moreover, the low carbohydrate diet also increases the glycemic control reducing the need for medication. As a consequence, this type of change in the diet reduces the effects of diabetes and even reverses it completely (7). Epilepsy is not a disease which has a rigid medical treatment. Its effects are reduced by different therapies till it disappears. As a matter of fact, the Ketogenic diet has been used for epilepsy from as long as the 1900s and is still the most suggested therapy for it. It is especially used for treating children who have uncontrolled epilepsy and need to be controlled. The reduction of seizures was noticed after several weeks, but the change lasted long enough to deem this diet as a successful treatment for epilepsy (8). Cancer has increased today more than any other disease, and it seems more serious because sometimes it is detected after a stage where it becomes impossible to treat. People with cancer have been provided with the keto diet and modified Atkins diet to reduce the tumor growth, and it ultimately helps in killing the tumor. Fewer carbohydrates and more dietary fats provide the body with special calories, which are termed as keto-calories (KetoCal). KetoCal has a special effect on the tumor cells which helps reduce them and its anti-angiogenic effects also help the cause. The tumor grows because of the glucose and in this type of diet, the production of glucose is minimum which restricts the growth of the tumor in consequence. The dietary fibers in the keto diet contain a high amount of medium-chain triglycerides which are very useful for a person suffering from Alzheimer’s disease. These components boost the memory of the patient, and while it doesn’t affect the people with Alzheimer’s, it will help anyone who has an issue remembering things. For instance, medium-chain triglycerides increase the production of β-hydroxybutyrate in the body which also helps in elevating memory function (10). A recent study also showed the positive effects of the ketogenic diet in the patients suffering from Parkinson’s Syndrome. This clinical trial was conducted with some people suffering from Parkinson’s disease, by giving them only Ketogenic diet foods, and it was seen after 28 days that 43% of them showed a reduced rating, on the scale that is used to measure the disease’s seriousness. Even more, it was also seen that this diet also reduces the chances of developing Parkinson’s disease in the patients already suffering from Alzheimer’s disease (11). Faster and better healing of brain injury is also a benefit of the Ketogenic diet, and it is related to the production of β-hydroxybutyrate in the body. Ketones are used as an alternative source of energy to improve the injury and reduce the diminishing count of adenosine triphosphate (ATP). In a Keto diet, Β-hydroxybutyrate is supplied to the brain which can also help in diminishing the damage caused to the brain by the injury, and resume normal functioning of the brain in cases of hypoxia, anoxia, and ischemia (12). It is no new fact that eating healthy will keep your skin healthy; the same is the case here when it comes to preventing acne. Therefore, this diet will not only reduce your consumption of refined sugar and simple carbohydrates but also other carbohydrates. Consumption of these materials may not be the key factor of acne, but it sure does affect its action and proliferation. In either case, Controlling acne will be a little easy if you follow this diet with your usual treatment (13). 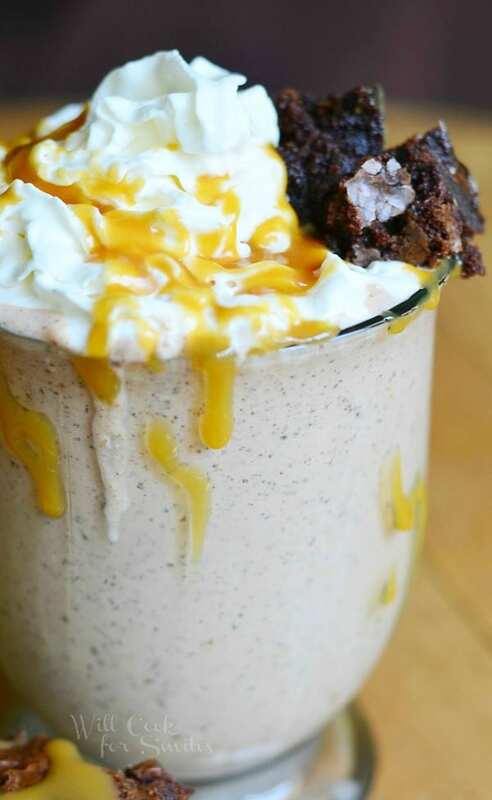 Here is an awesome list of 50 delicious Keto smoothies and shakes, with their DIY recipes. You can easily prepare them at home. Firstly, mix all the ingredients in a blender, and process till the mixture becomes smooth. Then, Pour into a glass. Now, garnish with mint leaves, and serve. In a blender, tip in all the ingredients and churn till the mixture becomes smooth. Next, pour it into a glass. Now, garnish with fresh strawberries and serve. At first, add all the ingredients in a mixer. Then, blend until you obtain a smooth paste. Finally, serve in two glasses. To begin with, crack both the eggs in a food processor and blend. Next, tip in the rest of the ingredients, and blend till the mixture is smooth. Then, pour the mixture into a tall glass, and serve with heavy cream as the garnish. In a blender, mix all the ingredients and process till the mixture becomes smooth. Now, pour the mixed ingredients into a glass. Finally, garnish with fresh raspberries or sugar-free raspberry coulis, and serve. Firstly, in a processor, add all the ingredients and churn until the mixture becomes smooth. Garnish with whipped cream, and serve. Add all the ingredients in a food processor, and blend until it becomes smooth. Garnish with pumpkin pie spice, and serve. To begin with, put all the ingredients mentioned above in a blender, and process until smooth. Now, pour it into a tall glass. Last but not the least, garnish with fresh strawberries or sugar-free strawberry coulis, and serve. Put all the ingredients in a food processor, and blend until smooth. Let the mixture sit there for around 5 minutes before you serve it. Process all the above ingredients, except the oil, in a blender and blend until smooth. Mix the flax seed oil in it with a spoon. Garnish with blueberries, and serve. Add Cashew Milk to make it thinner. 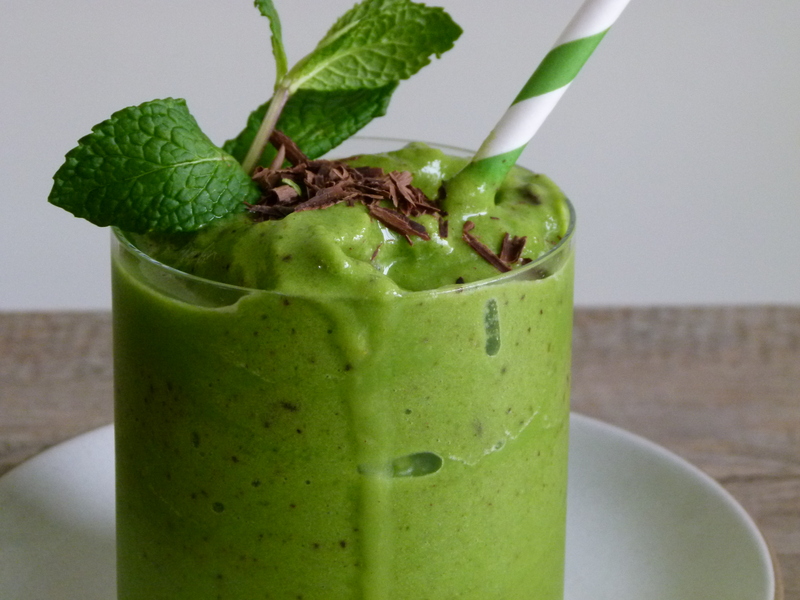 Gather all the ingredients and mix them using a blender. Blend, until the mixture turns smooth. Place some ice cubes in the glass with the smoothies and serve it immediately. 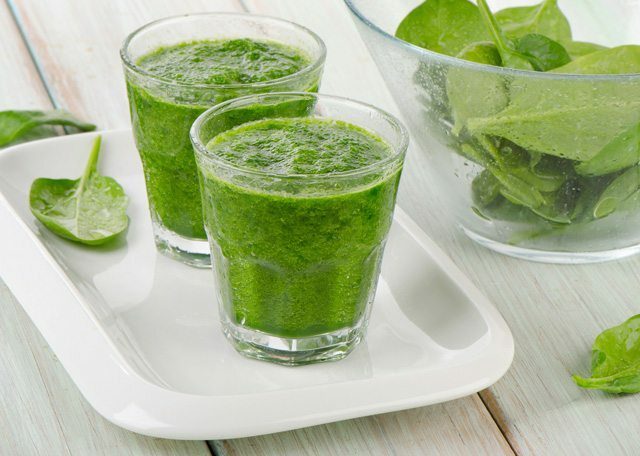 Put the spinach in a blender, and process till it becomes smooth. Add milk and other ingredients, and blend on high to make a smooth mixture. Garnish with crushed almonds, and serve. Wash the mint and spinach leaves thoroughly. Cut the avocado in half and peel. In a food processor, put all the ingredients and blend until smooth mixture forms. Mix the matcha powder with hot water in a small bowl. Cut avocado in half, peel it and cut into small chunks. Discard the seed. Add this with other ingredients to the blender, and blend till the mixture is smooth. Garnish with matcha powder and serve chilled. 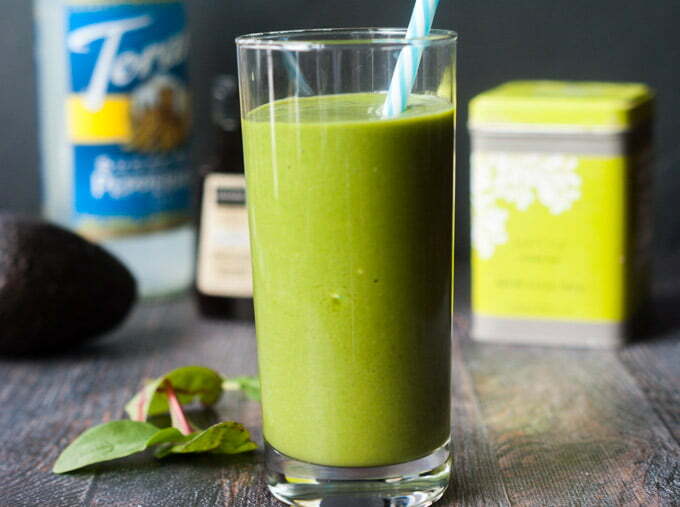 Put all the ingredients in a blender, except coconut oil, and mix until smooth. Pour into a tall glass, and add the coconut oil. Stir to mix the oil with a spoon. Garnish with chia seeds and crushed walnuts, and serve chilled. Split the vanilla bean lengthwise and scrape the inside. Place all the ingredients in a blender, except ice, and blend to combine. Tip in the ice, and blend once more to crush it. Place all the ingredients, except ice, in a blender and process until smooth. Add the ice, and blend one last time to crush the ice. Pour the smoothie into a highball glass. Garnish with a dollop of sour cream, and serve chilled. Mix all the ingredients in a blender, and process till it becomes a smooth paste. Pour into a tall glass, and garnish with a dollop of cream cheese. Put all the ingredients, except ice, in a food processor and blend until smooth. Once the mixture is smooth, add the ice, and process one last time to crush the ice. Pour into a tall glass and garnish with cinnamon powder. Put the raspberries with water in a blender, and blend until the mixture is smooth. Strain the mixture and discard the seeds. Add all the other ingredients and this mixture in a blender, and blend until it becomes smooth. Garnish with cut strawberries and serve chilled. Mix all the ingredients in a blender, and process until smooth. Garnish with fresh strawberries or sugar-free strawberry coulis. 1 teaspoon sugar-free caramel syrup. Dunk all the ingredients, except ice, in the food processor, and blend till the mixture becomes smooth. Add the ice, and process one last time to crush the ice. Pour into a tall glass, and garnish with a dollop of heavy cream. Place some ice cubes in the glass with the smoothies. Serve the Lassi over ice cubes. 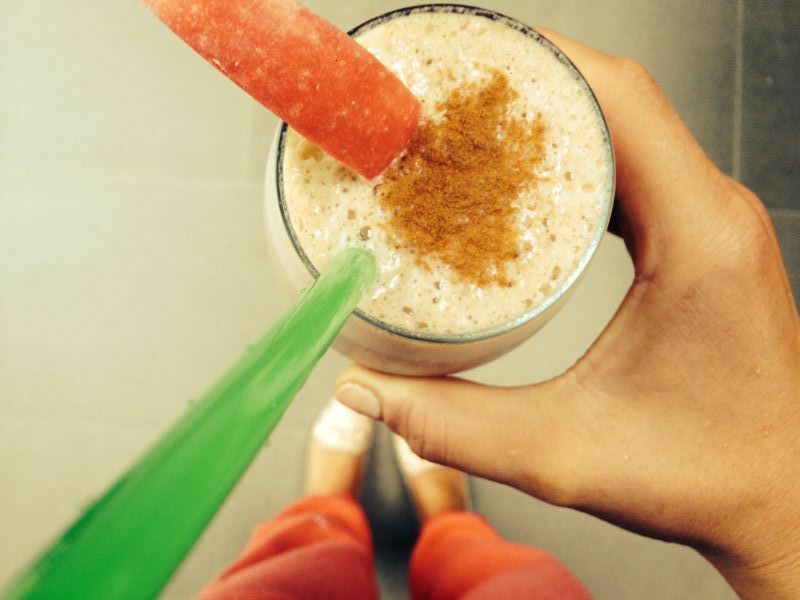 Serve the smoothie over ice and top it with cinnamon and cacao nibs. Add all the constituents to the blender. Form a smooth mixture for consumption. 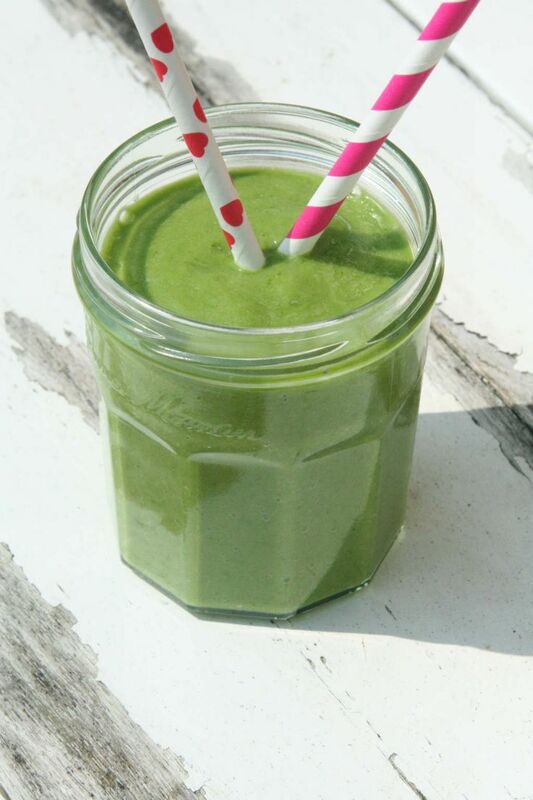 Combine all the ingredients in a food blender, and make a smooth mixture of a smoothie consistency. Pour into a tall glass, and garnish with some mint leaves. Pour the contents into a tall glass. Dunk all the ingredients in the food processor, and blend until smooth mixture forms. Pour this mixture into a glass, and garnish with shredded coconut if you wish. Put all the ingredients in a processor, and blend until smooth. 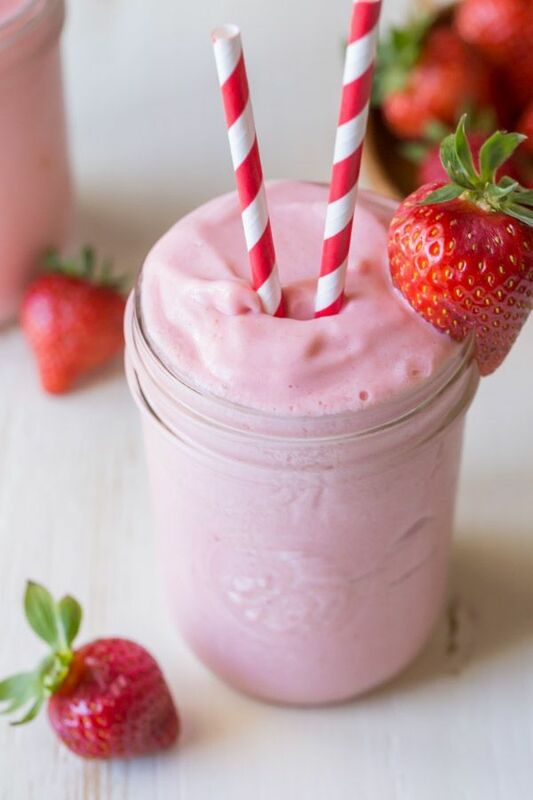 Pour the smoothie into a tall glass, and garnish with strawberries. 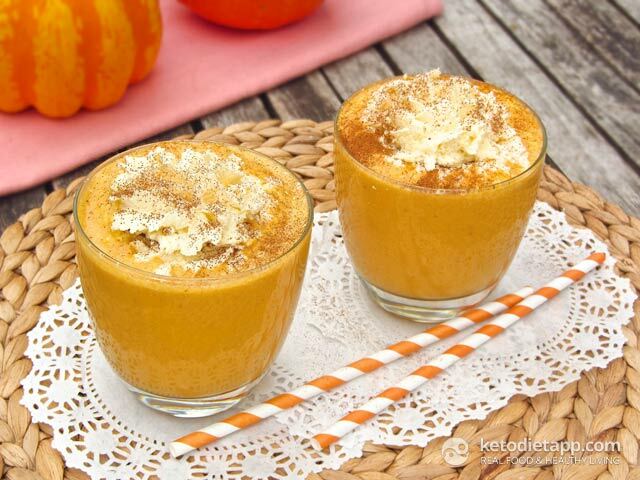 In a blender, blend all the ingredients, until you obtain a smooth mixture. Garnish with mint leaves, and serve chilled. Blend all the ingredients together in a food processor, until it reaches to become a smooth mixture. Pour into a tall glass, and garnish with some chopped blueberries. Firstly, add cinnamon, chia seeds, whey protein powder and coconut milk in a blender. Then, add coconut/MCT oil and blend. Now, add ice and stevia syrup (optional) and process till you obtain a mixture of smooth consistency. 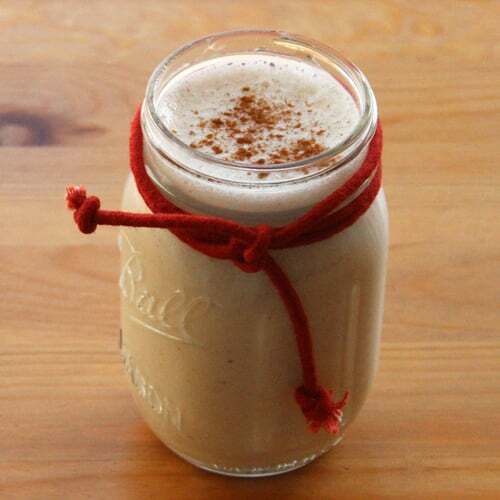 Pour the smoothie into a tall glass, and garnish with cinnamon powder. Serve immediately, while it is chilled. Pour the heavy cream and the coconut into the blender, and process it to mix properly. Add other ingredients, and blend till you obtain a smooth mixture. Pour the smoothie into a tall glass, and garnish with some chopped almonds. Wash the kale/spinach in running water to remove any dirt. Put all the ingredients in a food blender, and process until it becomes smooth. Pour it into a tall glass and garnish with berries of your choice. Wash the spinach leaves thoroughly in running water. Put all the ingredients in a food processor, and blend until the mixture becomes smooth. Pour into a collins glass, and garnish with sliced cucumber. 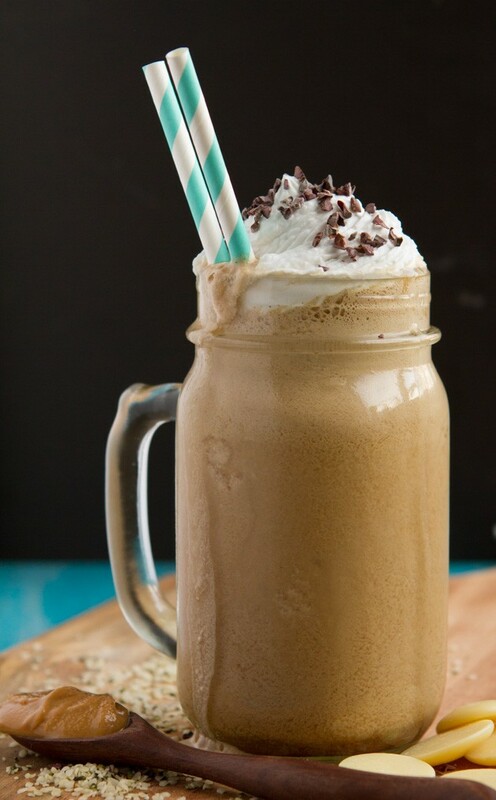 Tip in all the ingredients (except ice) in a blender, and process until a smooth mixture is obtained. Add crushed ice to it and blend again untill pureed. Pour this into a tall glass, and garnish with mint leaves and berries. Start by adding the cottage cheese and the chocolate in the jar. Process till the chocolate is blended in the cottage cheese. Add in all other ingredients, and mix until it becomes smooth. Pour the contents into a tall glass, and garnish with dark chocolate bits. Add all the ingredients in the food processor, and blend till you achieve a smooth consistency. Pour into 4 tall glasses. Dunk all the ingredients in the blender, and process until all the ingredients break down and form a smooth shake. Add crushed ice and blend. At last, add choco chips and blend once more. Add all the ingredients in a juicer-mixer-grinder, and process until it becomes a smooth mixture. Serve chilled or pour crushed ice. To start with, shallow fry the coconut on a frying pan in half a teaspoon of butter, on medium-low flame, till it turns a shade of light golden color. 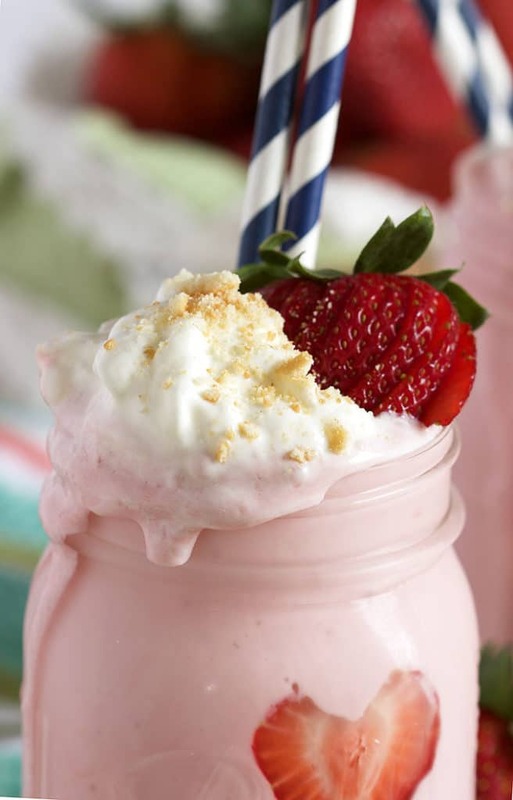 Combine all the ingredients, except strawberries and cream cheese, in a food processor, and blend till only some chunks are left. This is the stage where you add the strawberries to the mixture. Blend till it achieves the consistency of a smoothie. You can process it a little less if you like your smoothies chunky. Next, cut the cream cheese into small pieces, and add the coconut in it. Add into the smoother, and stir gently. Finally, pour into a tall glass and garnish with some strawberry pieces. At first, rinse the baby spinach in water. Next, put all the ingredients except protein powder in a food processor or blender, and break them down completely until you achieve a smooth consistency. Now, add Vanilla protein powder to it and blend once again to make the smoothie. 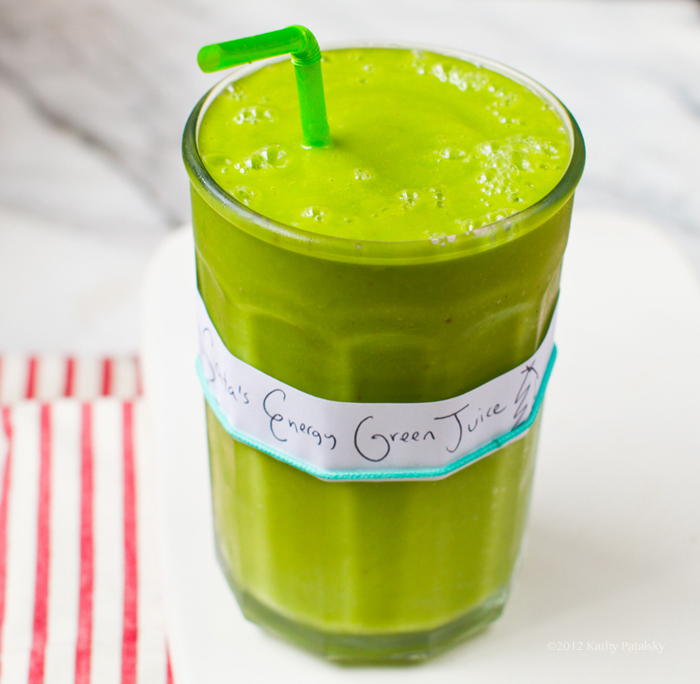 Pour into a tall glass and garnish with your choice of greens if you like. Firstly, Put all the ingredients in a mixer, and blend until smooth. Leave the ice out in this step. Next, Put the ice in, and blend only to crush the ice lightly. Finally, pour into a glass, and garnish with beet juliennes. Firstly, put the eggs in a blender, and process till it forms a foam. Now, add other ingredients, except ice, and blend some more. Next, add the ice, and blend enough to crush the ice. To start with, tip in all the ingredients in the blender, except ice and sweetener. Blend on high speed till everything breaks down and mixes. Next, add the ice and stevia, and blend once to crush the ice. Firstly, tip in all the ingredients in the processor jar, except ice. After this, blend on high speed till everything breaks down and mixes. Now, add the ice, and churn once to crush the ice. Next, pour into a tall glass and garnish with cinnamon. At first, put all the ingredients in the blender, except the ice and chocolate chips. Now, blend on high speed to make a smooth mixture. Next, add ice, and blend a little more to just crush the ice. 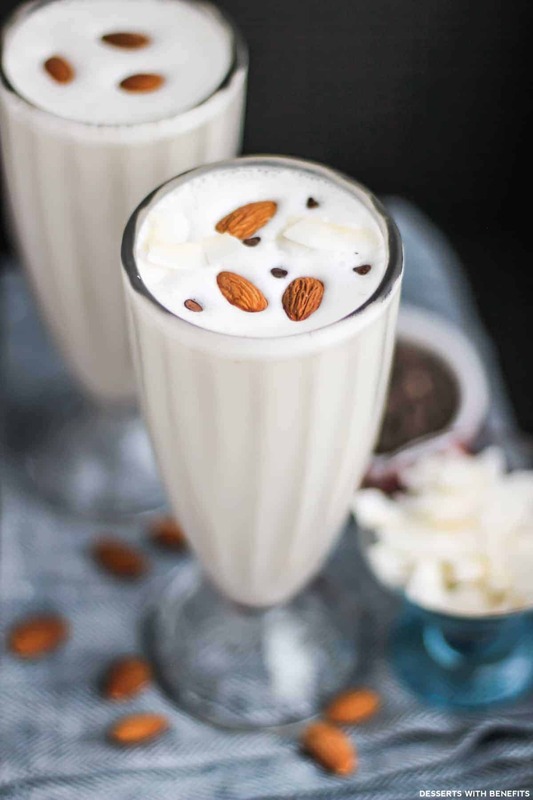 Pour into a tall glass and garnish with chocolate chips and crushed almonds. 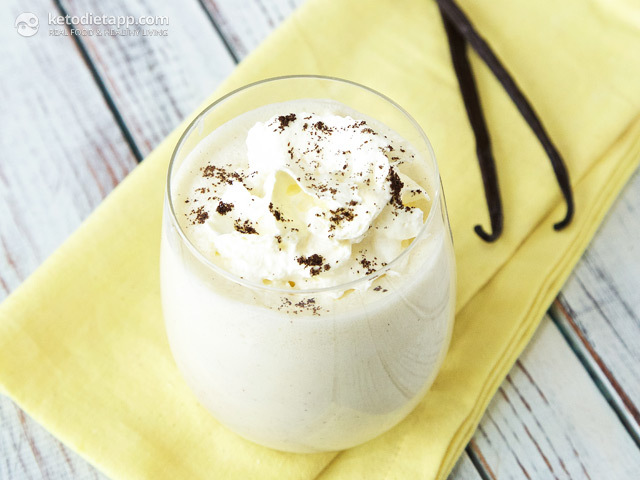 These keto smoothies are as per the strict keto diet plans and include something for everyone. We have tried to incorporate most of the flavors in these recipes, which are most liked by the people. It is just a matter of choice which drinks you use to help yourself in reducing weight and shed that extra fat. 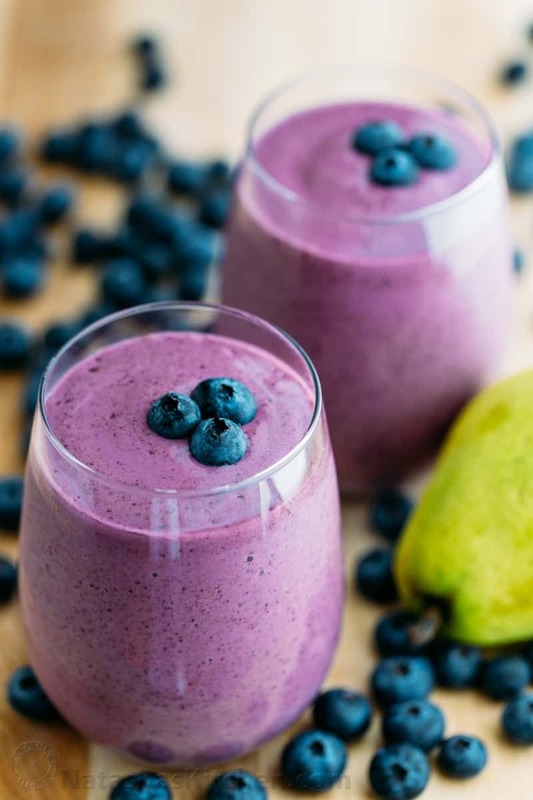 It is suggested to have these smoothies in the morning before you start your day so that you can get an extra boost to help you stay active throughout the day. You can also have them in the evening before going to the gym, or before the workout, to give you the energy that you need. These recipes are very easy to make as you only need to dunk all the ingredients in the blender in most of them. You will not require any cooking skills, whatsoever. 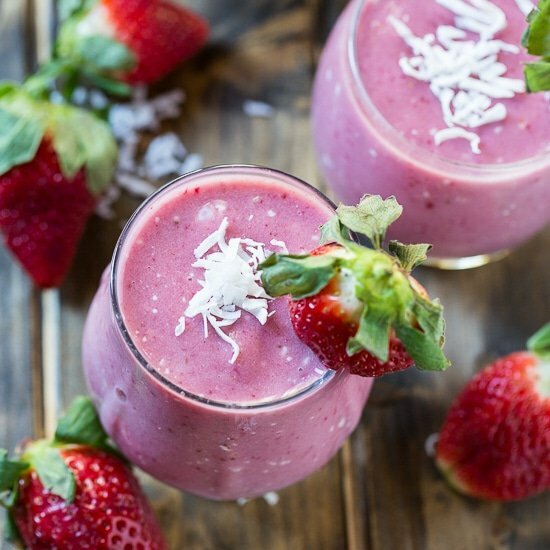 Just follow the keto diet, and incorporate these amazing keto smoothies into your daily meal plan to see some magical results. Varun is our enthusiastic health researcher. Dissecting every nugget of relevant information, his enthusiasm for new knowledge enables him to offer you the best tried-and-tested home remedies. Strict diet regimes and fitness streak tend to be his strongest forte. These smoothies sound wonderful. Just wanted to know why some ingredients are low fat or fat free? I thought we were supposed to eat full fat. Low fat and fat free have added sugar to the product. Very well pointed out. The recipes with fat-free or low-fat items also have another ingredient with high-fat content, and we don’t want to go over the board with fat. This is the reason we have used fat-free and non-fat ingredients in some recipes. Wow, thanks! Any way to get up to how many carbs these are? I suppose I can plug them into a calorie tracker! All these recipes have a very low carbohydrate content, less than 10 grams. Only the recipes with bananas have a little higher content of carbs as a banana may contain up to 35 calories depending on the size. I must respectfully disagree with the above comment. #45 Grandma’s Favorite Smoothie, according to food items verified from specific food containers in my own home, has 668 calories (yes, it has a picture of 2 glasses, but the instructions say to pour the beverage into “A TALL glass”.) It also has 119 grams Net carbs, NO sugar alcohols, 106 grams sugar due to the dates and honey, and only 14 grams total fat, and 24 grams protein. I find it a little misleading to say “these are very low carb, less than 10 gms”. We value and appreciate your feedback and noticed that you were right. The said recipe had been removed from the list. It is replaced by an authentic Keto Smoothie with all Keto Friendly ingredients in it. My question/concern is regarding the low fat and the sugar free items. These will have added sugars or artificial sugars. On a keto diet artificial sugars are not allowed or so I thought and added sugars in low fat items will increase the carbs. Some seem like they dont fit based on what I have read about the keto diet. Can you explain? They sound good but I want to be sure I’m doing this to its fullest potential. Thank yoi.